Cooler Master presents the CM Storm Xornet, a new 19.99EUR budget gaming mouse. CM Storm introduces the latest addition to its line of gaming mice, the CM Storm Xornet. Gamers focused on minimalistic designs are the inspiration behind the Xornet. It’s an ultra lightweight, claw-grip design with anti-slip rubber side grips that make it well suited for the intensity of extended gaming sessions. 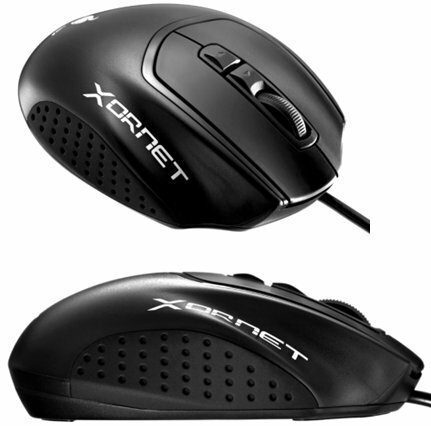 The textured stealth black finish allows the Xornet to fly under the radar as a secret weapon at LANs. Focused on a pure gaming experience, the CM Storm Xornet features a highly accurate 2000 DPI sensor that can be adjusted on-the-fly between 500, 1000, and 2000 presets. An Ultra-Step Scroll Wheel Encoder enables you to exercise absolute control over the slightest movements. Omron micro-switches guarantee at least 5,000,000 clicks. Even under prolonged usage, Xornet is geared to outlast the enemy over the course of intense conflicts. 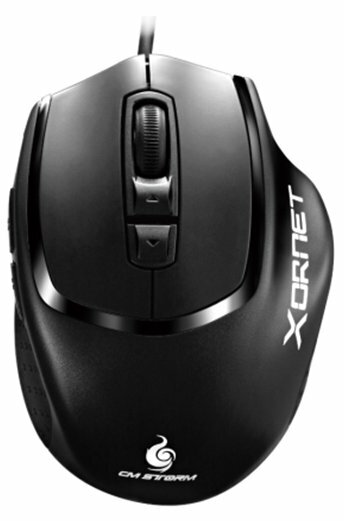 Xornet is the first mouse with USB speed adjustments in the software, which allows you to switch from 125Hz to 250Hz, 500Hz or 1000Hz! The Anti-drift Control Sensor maintains flawless control when lifts and drops occur. With these essential features and a sleek design, the CM Storm Xornet lies in wait as your best kept secret.